Just eight days later, Richard Breeden, the Special Master that’s working on behalf of the U.S. Department of Justice to distribute a separate pool of funds to Madoff’s victims reported that more than 36,000 claimants have filed documents with his office indicating that they haven’t yet received a dime of restitution. Yes, 36,000 people from all over the globe. That’s bad enough but the story goes downhill from there. 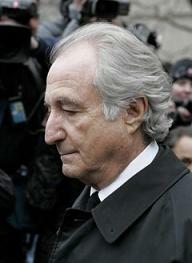 Almost six years from the date that Bernard Madoff turned himself in as the largest Ponzi fraudster in the history of finance, the U.S. Department of Justice is still scratching its head over just how much money Madoff actually ripped off from investors and puzzling over how to divvy up its inadequate pot of money. We know for certain that the Justice Department was stunned to learn that 36,000 claimants said they hadn’t received a dime because in a November 18, 2013 press release, Breeden indicated that he was going to begin accepting claims from “approximately 11,000 investors whose assets came into Madoff Securities indirectly through feeder funds, investment partnerships, bank commingled funds, family trusts or other pooled investment accounts. As a result, we expect approximately 12,000 direct and indirect investors will be eligible for a recovery…” Instead of receiving 11,000 claim forms, Breeden received 51,700 with 36,000 of those reporting zero restitution.